High Visibility Trousers at the Best Prices! Buy high quality and competitive priced hi vis trousers online from The Site Supply Company. Each pair of hi vis trousers feature fully reflective hi visibility banding and with a variety of trousers to choose from, you will easily find the right hi vis trousers to cater to the nature of your work place or industry. 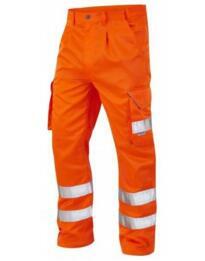 At The Site Supply Company you will find high visibility trousers in a selection of different purposes. Each pair conforms to safety regulations including our selection of rail specification trousers which are made to GO/RT standards for use on rail and underground industries. Lightweight high vis work trousers are fully waterproof to prepare you for anything a job may throw at you. With trousers featuring multiple pockets and breathable materials, you can easily select a pair of trousers to best suit your working conditions. Many of our high visibility work trousers can be teamed with other products available from The Site Supply Company such as our huge range of high visibility jackets, shirts and coats. 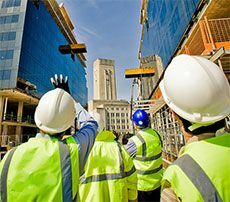 We sell high visibility clothing from top work wear brands such as Dickies and B Seen to ensure the very best in quality work clothing. Our work trousers can be purchased individually at competitive prices or you can take advantage of buying in bulk for extra savings. Simply click on a product to see our fantastic bulk rates. Save money now on hi vis trousers from The Site Supply Company. With a variety of high visibility trousers to choose from, our high vis work trousers conform to safety regulations to ensure the very best in quality for your work place. Below is our range of High Visibility Trousers - choose from Polycotton, Waterproof or GORE-TEX for extreme conditions.